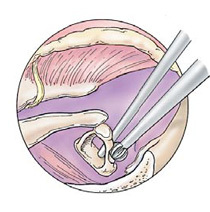 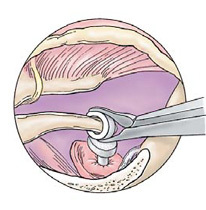 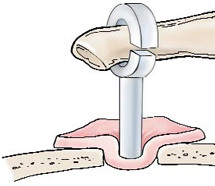 Stapedotomy surgery is a procedure in which the innermost bone (stapes) of the three bones (the stapes, the incus, and the malleus) of the middle ear is removed, and replaced with a prosthesis. 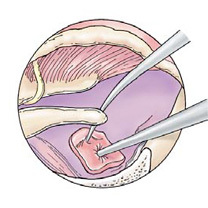 it is also know as Stapedectomy surgery. 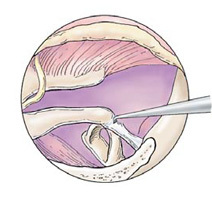 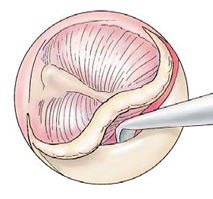 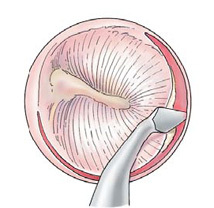 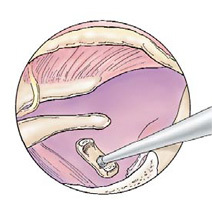 Performed to improve the movement of sound to the inner ear, stapedectomy treats progressive hearing loss caused by otosclerosis, a condition in which spongy bone hardens around the base of the stapes.